Firstly it is important to understand that this nobility is not a “warrior caste”; that the whole concept of a caste system (such as the varṇa of Hinduism) is antithetical to the Catholic worldview. This mistaken understanding arises from a flawed concept of aristocracy, not the rule of the virtuous, but the rule of the “superior” so-called, a “race of the blood”. Such understanding is based on a broken and modern concept of Sovereignty. Whereas the proper Sacrétemporal understanding sees the Common Good, that is Peace, Justice, Freedom, Charity, Mercy, Right Reason and Virtue, as indivisible and common to both the governors and those whom they serve, in this pseudo-traditional understanding “the people” and their “leaders” must be entirely separate, to the point of having and serving seperate goods. Strictly understood, there are no natural aristocrats, no men of inherent superiority and qualification, even pure intellectual qualification is no guarantee of moral quality. But there are those among the People, by the special grace of Vocation or of heritage, who are called to dedicate their lives to the Common Good beyond ordinary obligations. As there are those called from among the Royal Priesthood of the Faithful to serve in the Sacramental Order of Priesthood, so as well are there men called from among the sovereign and noble family of Mankind to serve in the Hierarchic Order of Nobility. These do not cease to belong their people, but by becoming servants of the Good in a special manner, are more truly united to those they serve. Will these men have moral failings, even those ennobled for courageous action? Most certainly, as is the sad consequence of fallen human nature, but in the true noble these are sins to be striven against, not faults to disqualify. 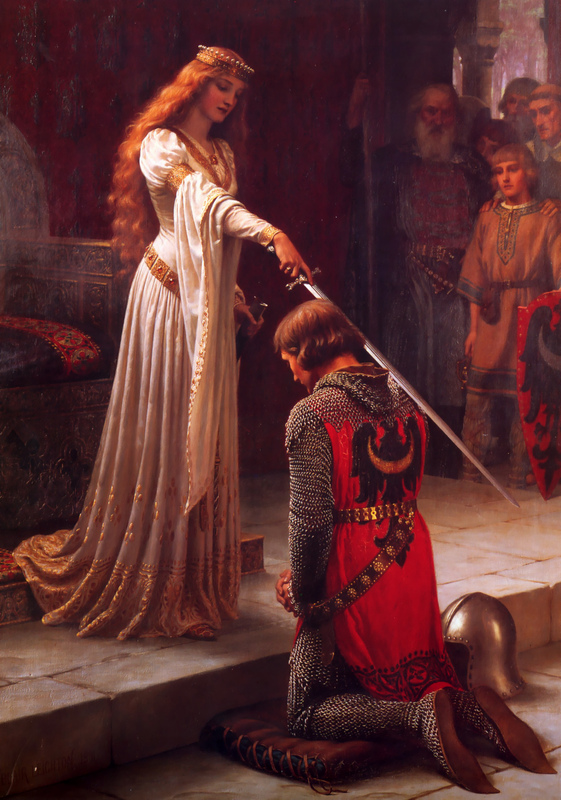 Just as in every rightly ordered government (even those republican or conciliar in form) there is a monarchical element, in every functioning government there is a Nobility (to which it must be remembered, the order of Kings and all legitimate rulers belong) dedicated to some form of the good. In the Civilization of the Sacred Ages of Christendom, the Nobility was not only given the honors and privileges of the tradition of the countries, but more importantly the duty and responsibility to uphold the principle of Concordia Provinciarum, accord of the people, harmony between persons. This is the true “democratic” and demodichic (“people-just”) principle. Thus even in a country consisting of diverse and varying nations (as are all countries historically defined) when united in virtue, freedom, and right reason there can be said to be “the people”. Noble, burgher, and free peasant, none lacking in honor, each belong to this people, each equally participate in the Common Good, but each in their own way as defined by their Vocation. The purpose and end of this nobility is to serve as the monarchical element in the local community, one of the most important elements of subsidiary sovereignty. To preside over free men willing to serve him in war and peace as he is willing to give himself to serve them. And yet even as he is the servant and companion of the Sovereign of his country, there is an order of nobility, the knights and especially the ministeriales (hereditary retainers), who find great honor in in their own vocation as the servants of Servants of the People. Retainers no less free for serving one man who serves the Common Good, these too are true nobles, with an extraordinary vocation, serving their sovereign as brothers aid their eldest. It is important to remember that virtue (universal and also the unique vocation of nobility) is not a “quality of blood”, it is not a heredity transmitted by a breed of Übermensch. Rather it is a daily struggle against fallen nature in which without the acceptance of Grace no man is assured of victory. The son (or daughter) of a noble may have the proper education given by his father (and mother) and it is true that a familial vocation may descend through successive generations, yet true nobility is lost when the noble see himself as inherently superior to those people of whom him is the servant. He has lost chief virtues of nobility, the courage to strive against fallen nature, and the humility to know that he like every other human person must so strive. Just to let you know, the Hindu warrior caste is not exactly inherited by blood, but also by virtue, albeit with different values compared to Christian ones. An interesting point. However, the varṇa are still representative of a flawed system wherein the division of persons is taken almost to a Communist extreme. Just as the ancient Sumerian Civilization with its Ensi (ruler/”king”) and Lugal (lord/paterfamilias, later under the Akkadians “king”) can be seen as an Archetype (albeit flawed) of European Civilization, so the Harappan Civilization of the Indus seems almost an Archetype of Leftist Society, with its extreme centralization and identitarianism, from which the later caste system descended. Indeed, one only need remember the likes of Marquis de Sade and Lord de Rais. Still, while I am convinced that caste system in economy is unjust (e.g. forcing someone to be a beggar just because he was born to beggars, not allowing him to rise above that station through hard work), I am equally convinced that in the matters of state, and government there must be a caste system. It is of supreme importance to clearly separate the rulers from the ruled. If the rulers and the ruled are decidedly separate, and there is no chance whatsoever for the ruled to become a ruler, he will live out his live peacefully. But if there’s a chance for the ruled to become rulers, instead of pursuing honest goals, they will plot to overthrow their sovereigns. The downfall of monarchic order started when monarchs, in order to establish absolutism replaced aristocracy with commoner bureaucracy. So, while there can, and should be a free economy, the entrance into the state is another matter. The offices of the state must be resereved solely to nobility. Of course, there can be ways in which someone can become a nobleman, but it needs to be very, very hard (and most decidedly *not* based on money, buying of a title should be seen a sort of secular simony). Would you acknowledge though, that creating such a separation encourages the opposite of its intent? If there is a chance for the ruled to be rulers, why would they overthrow their rulers, if by faithfully serving them, they could become the rulers? The downfall of the monarchic order begins in the so called “aristocracy”, the bureaucracy was in fact the more faithful of the two. But the real point I was making is that this separation between rulers and ruled is in its essence flawed, in so far as it implies separate goods. In the same way, the distinction between “monarchic” and “non-monarchic” government is flawed because every functioning government has some monarchic element. So the “rulers” are really ruled as well, ruled by the Natural Law, and their only distinction from the “ruled” is that they have received special offices to uphold the Natural Law. >Would you acknowledge though, that creating such a separation encourages the opposite of its intent? Why would they want to overthrow them if they are governed well? Rather they should be glad to be free of that burden of responsibility that comes with governance, and rejoice that they can serve in different, less burdensome way. I don’t think that people commonly want to overthrow their government. Especially not good one. Nationalist frenzy of 19th century basically required new religion, the ideology of nationalism, to make good government seem illegitimate. I am actually in complete agreement with you, which is why I personally go so far to prefer Mandate of Heaven based monarchy to Divine Right based monarchy. In Mandate of Heaven based monarchy anyone can become a monarch (for example, even a simple illiterate swineherd from a backwater province), and monarch’s legitimacy is dependant on good governance (his worthiness, i.e. the virtue of the monarch), and not on “race of the blood”. Aditionally, when rebellion happens, rebels under Mandate of Heaven never want to destroy the existing social order, but merely to replace the monarch, or the dynasty. This is why oriental despotism in eastern Roman Empire and Chinese Empire lasted for so long, and why Bourbon absolutism lasted so shortly and ended so badly. Yes aristocracy was very unfaithful, but it was because commoner bureaucracy replaced aristocracy in power-grab by the monarchs. Of course, technology made old arrangements somewhat obsolete, but the fact remained that there was all these nobles who had nothing to do. Destitute nobility that had their titles, but little else. They couldn’t participate in the economy without losing their titles, and they would’t have done it anyway — by them wage labor, let alone industry, and commerce were seen as shameful and extremely distasteful *at best*. So they had nothing to do. And while nobles were indeed the ones that started the Revolution, they weren’t the ones who finished it (same thing happened in Russia). Meanwhile, bureaucracy that is open to all tends to infinite growth (which democracy by its nature exacerbates, which is why pre-democratic states seem like they aren’t states at all in comparison), so limiting state employment to nobility would have solved the problem of destitute nobility, and also the problem of tendency to bureaucratic growth at the same time (Chinese had stringent Imperial Exams to curb that tendency). 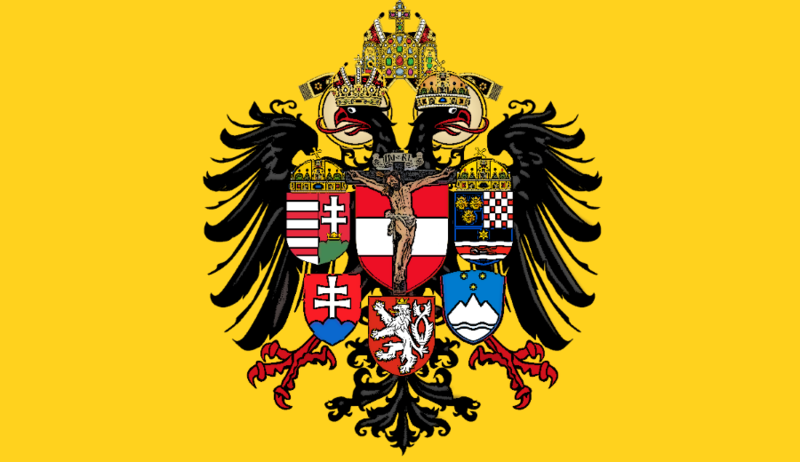 That being said, Habsburg Monarchy was much different from French Monarchy, and in many ways far superior, as you already know. Despite attempts of Joseph II at absolutism, it never really worked out, and so it never had many of the problems that existed in France (many anti-French pamphlets were produced in HRE during the reign of Louis XIV in France, that spoke of the Louis’ tyranny, lack of regard for the faith, the frivolity and immorality of the French, those pamphlets also urged parents to not let their children go to French schools where they’ll learn only to dress up and whore around, that they should rather make them patriotic and virtuous subjects of HRE, etc.). Unlike the Bourbons, Habsburgs were trusted and beloved. Also, AFAIK, anyone could become a noble. Unfortunately, owing to the Great War it didn’t last long enough to see how loyal ennoblement made public servants and bankers. Any monarchy scenario today would not have this problem, given that nobles are gone. Also, given that most monarchies established today would be, like Roman Empire, grafted from a republican state, it would be extremely difficult to recreate feudal nobility (at least in the absence of some colossal collapse). Therefore if monarchs return, monarchies are probably more likely to resemble eastern Roman Empire, than HRE (which was easy to destroy, but unfortunately impossible to recreate). Under eastern pronoia system, local governors, pronoiars were placed directly by the emperor, and position was not hereditary (but then again, neither was that of the emperor). I’m afraid you have misunderstood my position, as I support neither the “Divine Right” theory nor the Mandate of Heaven. I am a legitimist, which means the primacy of the Natural Law, but also of Authoritative Law, including laws of succession, which can only be altered by a lawful authority. Only by clearly attacking or acting contrarily to the Law does any legitimate ruler lose legitimacy, and then only by being deposed (by Authority ), and legitimacy can only be granted by a Higher Authority (or by recognition of some other means in the absence of that Authority). I didn’t mean to say that virtue is only factor in nobility or that a hereditary European system ought to be replace with a meritocratic Chinese one. It is interesting that you bring up the Byzantine system (a synonym for bloody disorder and decay) because it is precisely this (among other reasons) that Constantinople became void of the Imperium which then was transferred from the Kingdom of the Greeks, to the King of the West (a system more or less successful for a thousand years). Charlemagne made use of an extensive “bureaucracy” of Comes Palatinus and Missus Dominicus alongside of an extensive hereditary nobility and freemen. The Nobility likewise made similar use of the ministeriales, pfleger, and vögte. Interestingly enough, it was the Vendée , the country where the people and the nobility had no separation (though there was social *distinction*) that proved the most loyal and traditional, where the nobility did have a real function alongside of a small “bureaucracy”. Whereas the aristocracy where be no means powerless in the Court of the 1789 Ancien Régime. It was however, primarily meritocratic and without hereditary titles. The people of this aristocracy were as separated as one could desire (should one desire that) from their aristocrats, and it was these people who first turned against them. The so called “feudal system” is a term commonly used, but frequently misunderstood. To recreate it as conceived by some modern historians is in indeed impossible. However, the hereditary noble families do indeed still exist, and some indeed still hold on to their vocational heritage. It is not so much that we are to create new governments along the lines of oriental systems. Rather, we ought to restore all legitimate governments (according to laws and rights which have never been lawfully abolished) and to restore to all governments (even those legitimately Republican or Conciliar in form) the Judicial-Monarchial element. It’s an Enlightenment propaganda more than anything, just like the name “Byzantine” itself (guys like Hans Böhm and peasant rebellions were the feature of the HRE, not Byzantium). Rome was a republic. It never had succession laws, because formally the emperor was not a monarch, but rather numerous republican offices merged into one. Emperors were however affirmed by the senate and the people, with the exclamation “Worthy!” and deposed with the exclamation “Unworthy!” Imperium, of course, cannot be transfered in such a maner that you speak of. Neither German kings, nor the Russian (or for that matter Serbian, or Bulgarian) tzars were really Roman, despite all insistance to the contrary. And now that imperium is gone and cannot be restored. Just like it is the case with any other lost imperium. Blessed be the name of God forever and ever, For wisdom and might are His. And He changes the times and the seasons; He removes kings and raises up kings; He gives wisdom to the wise And knowledge to those who have understanding. He reveals deep and secret things; He knows what is in the darkness, And light dwells with Him. By who is that authority you speak of if not God? Does not the mere fact that they are gone then, mean that previously legitimate governments are no longer legitimate, that they are lawfully abolished by God? And likewise does that not mean that whatever comes in the future shall be lawful and apointed by God, even though we most likely won’t end up with Bourbons, Romanovs, and Hapsburgs? In my opinion legitimist position ignores the facts on the ground, and implications thereof waaaay too much. While establishment of monarchies from republics is possible, restoration of old dynasties and succession laws seems to me like wishful thinking. And what makes them even worthy of that positions anymore? They merely belong “race of the blood”, they did not prove themselves capable of leadership. We may now live under anarcho-tyranny, where government openly promotes evil, but like every tyranny, it is a punishment from God for the sins of the people, as Aquinas writes it is by divine permission that wicked men receive power to rule as a punishment for sin. It is still legitimate government however, and will remain so until replaced. Only when people correct themselves shall they become worthy of a worthy sovereign, whoever that may be. You are making the fundamental mistake of confusing Authority with mere power (not in the sense of potestas used in Scripture but mere force). Those who have received Authority and maintain virtue do not lose Authority merely by being driven from Power. You quote St. Thomas, but seem unaware that he also states in De Regno, “Therefore, if God recompenses wicked kings who fight against the enemies of God, though not with the intention of serving Him but to execute their own hatred and cupidity, by giving them such great rewards as to yield them victory over their foes, subject kingdoms to their sway and grant them spoils to rifle, what will He do for kings who rule the people of God and assail His enemies from a holy motive? He promises them not an earthly reward indeed but an everlasting one and in none other than in Himself.” He that “he changeth times and ages: taketh away kingdoms and establisheth them” does not make earthly success the sole condition of authority, nor the lack thereof lawful abolishment. Rather He permits the usurpation of power and lawful rulers to suffer to manifest His Providence of Grace. Thus St. Thomas writes, “If, on the other hand, it pertains to the right of a higher authority to provide a king for a certain multitude, a remedy against the wickedness of a tyrant is to be looked for from him.” This Higher Authority is firstly and foremost the Vicar of Christ on Earth, in whom is the plenitudo potestatis, the plenitude of authority, and secondly in the one appointed to the Imperium, the defender and embodiment of the Ius Gentium. The legitimacy of the rulers of Christendom flows from these two founts, and the families receive it not because of any race of blood, but because of the laws of the countries and dynasties, and the familial principle. They are worthy by right of the law and higher authority, and if that authority finds them wanting, another may well be appointed, not by himself but legitimately. Usurpations arise and become seemingly permanent, but they are never legitimate, for as St. Thomas says, “The chief concern of the ruler of a multitude, therefore, is to procure the unity of peace. It is not even legitimate for him to deliberate whether he shall establish peace in the multitude subject to him, just as a physician does not deliberate whether he shall heal the sick man encharged to him.” The usurpation is itself an offence against peace and the Common Good in so far as it is an offence against Justice. Further the Angelic Doctor writes against such rebellions against which you seem to think the proper response to a ruler without virtue, “Should private persons attempt on their own private presumption to kill the rulers, even though tyrants, this would be dangerous for the multitude as well as for their rulers… Furthermore, it seems that to proceed against the cruelty of tyrants is an action to be undertaken, not through the private presumption of a few, but rather by public authority.” Now granted in the absence of this authority it is within the right of the people to rise against the ruler, but they must secure his successor not from among anyone at random, but by legitimate laws or approval of higher authority. Any other system whereby rulers are appointed offends the justice of laws which have never been abolished nor have lapse. Worthy rulers may rule unworthy people or not rule at all, but they do not lose their authority nor the rights and duties thereof. As for Rome being a Respublica, this simply means Commonwealth, a polity which has the Common Good as its end. The bloody politics of “New Rome” whereby the “Empress” Irene had her own son murdered is certainly no enlightenment invention, nor is the Imperium lost, for its translation by the plenitudo potestatis has preserved it for the benefit of the world. I think you are being too idealistic here. After all, Saint Paul wrote of a pagan empire that persecuted Christians, but he did not represent its legitimacy as being conditional in any way, shape, or form. So? Neither is the Pornocracy, or the Borgias. Prelates in Old Rome behaving worse than secular rulers in New Rome, should that not count as thrice more damning? The Pseudo-Isidorian Decretals as is obvious from the historical fact. I mean, back when emperors in Constantinople had sovereignty over Italy it was they that enthroned and dethroned popes of Rome, not the other way around. Doesn’t make it right, of course, secular rulers meddling in the church affairs, but it is what it is. Later, various Western secular rulers controlled the papacy every so often. Still, the error of caesaropapism doesn’t justify the error of the opposite direction, namely papocaesarism. That imperium existed before the popes, or Christianity itself for that matter. It was not the pope’s to give. Priests have power over secular rulers, just like over any other Christian, the power to bind, and unbind. But that means the power to absolve sins, to excommunicate, or to anathematize, priesthood doesn’t hold any direct temporal powers. Of course I do not blame the popes for seeking security where he could find it, nor do I blame the Germans for seeking to improve their international recognition, I just happen to think that Medieval propaganda is of no use to us these days. It serves us nothing to deny the existence of political machinations of the day. Medievals weren’t particularly virtuous, or faithful for that matter. Will to power ruled the day. Will to riches also. Just like these days. World was fallen back then too. Are you not aware how many Holy Prepuces, Holy Lances, etc. there were in the Middle Ages. They had not the Fear of God, earning immense riches on manufacture and sale of false relics. To those to whom earning money on sacrilege is nothing, do you think that stooping to fabrication for the sake of power means something? And what else is the Protestant Reformation if not the will to power by the rulers? Serves to show how faithful they were if they sold their faith for power at the first opportunity. Ultimately, papal assertions of supremacy over secular matters proved bad for the faith itself, for those assertions caused the Reformation. When Peter I of Russia established enlightened absolutism in Russian Empire he ended the Patriarchate of Moscow, and subdued the church making it into just one of the state ministries. Horrendous, but at least he let the faith itself survive. Had Russia been under papal jurisdiction however, Peter would’ve just pulled Henry VIII. Our Lord Jesus Christ commanded us, “Be you therefore perfect, as also your heavenly Father is perfect.” Is this not idealistic? Is this not impossible to completely fulfill in a fallen world? Yet we are called to strive for the ideal regardless of whether it is humanly possible to achieve it. The people of the Sacred Ages did not always uphold and practice their ideals, but they always held them as true ideals. It is true that the plenitudo potestatis is in God (“All power is given to Me in heaven and in earth”) and yet this has been given by Christ to His Vicar Peter and Peter’s successors, “Amen I say to you, whatsoever you shall bind upon earth, shall be bound also in heaven; and whatsoever you shall loose upon earth, shall be loosed also in heaven.” Thus Pope St. Gelasius wrote to the Emperor Anastasius I, “As your piety is obviously aware, it is humanly impossible to elevate oneself either by privilege or confession over him whom the voice of Christ put above everyone, whom the Church has always held ought to be revered and enjoy primacy of devotion. What is established by divine judgment may be attacked by human presumptions but cannot be vanquished by any human power… What Scripture says figuratively through the prophet is true, ‘there is one alone, my dove, my perfect one.’ There is only one faith, and that is the Catholic Faith.” Any decretals that confirm this, forged (which is not certainly proven) or otherwise only confirm the Truth of the Apostolic Faith. The Protestant Revolution was not caused by this truth, rather it was caused by the spread of error of false preachers seeking to subordinate the Supernatural Church to temporal power. Henry VIII and Peter of Russia were both at fault for their own errors against the Faith, not the Roman Pontiff. The Emperors in Constantinople never had authority over the Pope, and if they tried to act as it were so, they were excommunicated. Even in the Saeculum obscurum the Holy Office of the Papacy was preserved from promulgating error, even if its occupants were far from worthy (although this has been exaggerated by anti-Papal propaganda.) As for the Borgia family, you may be interested in the life of St. Francis Borgia. There is good and bad in every age but the Truth does not change. The Imperium to which I refer, though in some sense descended from the Roman Proto-Imperium, is not that Authority. Rather it is the Authority spoken of by the Prophet Daniel, “But in the days of those kingdoms the God of heaven will set up a kingdom that shall never be destroyed, and his kingdom shall not be delivered up to another people, and it shall break in pieces, and shall consume all these kingdoms, and itself shall stand for ever.” This is Christendom which shall stand forever, and never be destroyed in the hearts of men. 1. It does not have for its purpose the overthrow of the social order. 2. It has a 100% chance of success. 3. It results in a lesser evil than tolerance of tyranny. So if particular country follows such a tradition of a strict succession law it will lead to chaos if the people don’t want to accept the newly enthroned sovereign because he is perceived a usurper, that fact is the obstacle to peace, then that does not satisfy the point 3. I just wanted to say that I don’t believe in metaphysicality of such laws. But if such and such socierty believes in such laws then they are real. I can’t help but wonder if Christendom could have benefited by having some sort of generational self analysis and culling, where nessecary, within the nobility. Similar to Codreanu’s thoughts in “For My legionnaires”. Certainly not a total meritocracy, but simply a weeding out of those nobles who have lost their moral fight for the good. These weakened men could thus be replaced by a blood and soil commoner who posses noble, good qualities. May I inquire your thoughts here? Originally each enfeoffment had to be reconfirmed, despite the positions being hereditary. If the current heir was found unworthy or incapable it was given to the secondary heir or reverted to the ruler, to give to a better candidate. Unfortunately that practice had been dropped, but I do believe it would be beneficial to revive.